Meet James McKevitt, a talented new Rotary member, who recently became a Fellow at the Royal Astronomical Society. He is still a student at Loughborough University, but Rotary member James McKevitt is one to watch out for. 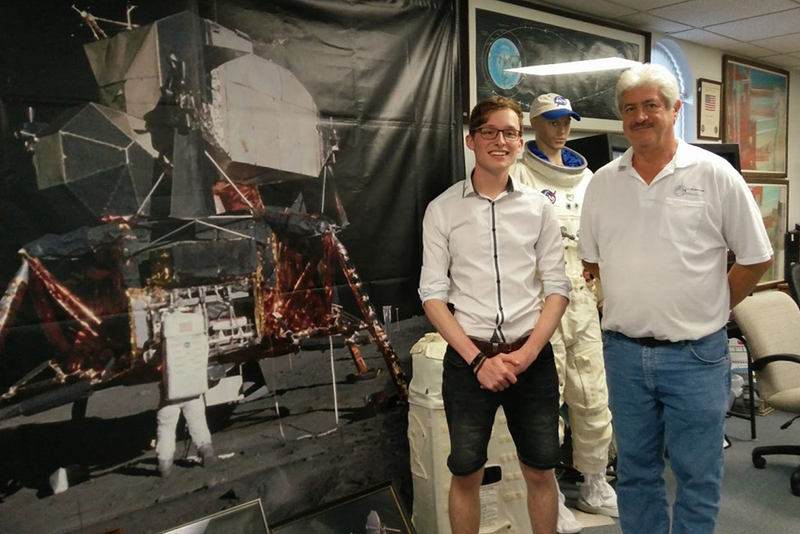 The 20-year-old from Lincolnshire has found a love for astronomy and was recently awarded a Fellow of the Royal Astronomical Society. However, it was Rotary which first got James really interested in the science. 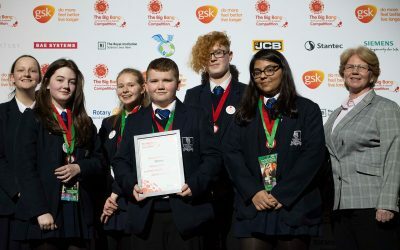 James explained, “My secondary school in Spalding ran an award jointly with South Holland Rotary which granted a student a travel grant to pursue an interest. “I applied and was awarded money to travel to Kennedy Space Centre in Florida. “As the money wouldn’t fully cover the cost of the trip, the Rotary club helped me out and contacted Rotary groups over there, leading to me staying with a local Rotarian and her using contacts meaning I met with launch controllers and engineers at NASA. James meets staff at NASA. Today, James is an aeronautical engineering student at Loughborough University and in 2018 he was awarded the Undergraduate of the Year Award for Innovation by TARGETjobs and Barclays Plc. He is Head of Projects at the Loughborough Space Society where they are developing a rocket engine built last year which he took to his Rotary club to run a rocketry evening. “I have joined Loughborough Jubilee Rotary which is a satellite club of Loughborough Beacon Rotary,” he added. 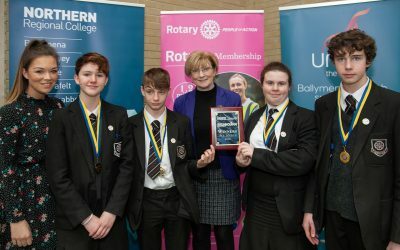 “This offers me the opportunity to meet with the younger Rotarians weekly in a more informal environment, taking less time and so making it more convenient for me. “However, I also semi-regularly attend Loughborough Beacon Rotary.